Cape Town - Consumers who decide to reduce their savings by even R100 or R200 per month to buffer against the impact of the 1 percentage point VAT increase, are effectively robbing themselves of the benefit of compounded growth, warns Emma Heap of 10X Investments. Compound interest is essentially the addition of interest to a principal sum - basically getting "interest on interest". "Which way it goes depends on whether you progressively add a little more to your savings and leave it to grow over the years and decades, or if you allow small cost of living increases, such as the extra 1% of VAT, to lower your savings rate, thereby chipping away at your nest egg," she says. “You are storing up trouble for yourself in later years if you let your retirement savings become a smaller and smaller percentage of your earnings. As your salary grows with inflation, or hopefully even ahead of it, so should your savings," says Heap. 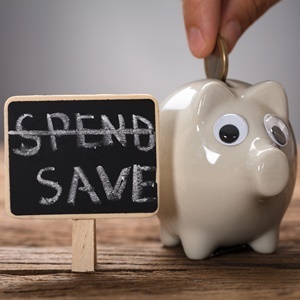 "It might be easy to justify not keeping your savings in line with your earnings when the cost of living goes up particularly in a sudden spurt with something unusual like a VAT increase. In the end, only you will suffer."